Both the urban and rual community programs utilize local community volunteers trained as health promoters. 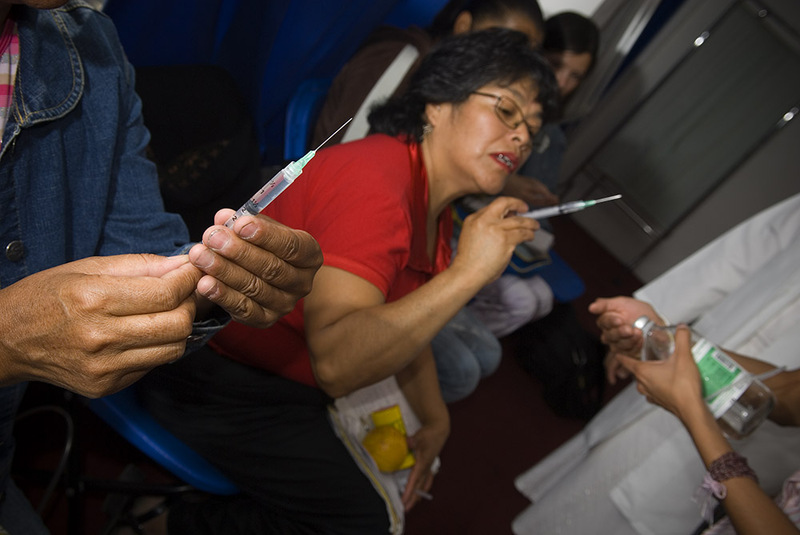 Women, like these pictured here,training at the Iztapalapa clinic on how to give an intermuscular injection, come from the communities where they will serve. They are trained in basic health services, first aid, injection procedures, taking blood pressure, keeping children’s weight and height records, treating wounds and injuries, and assessment and referral of patients to Mexfam’s clinics and medical offices. They also provide education in familyplanning, and distribute barrier and hormonal contraceptive methods. Although community health promoters are mostly women, more recently some men have begun to join the programs.